As soon as we got home from visiting family for Christmas my husband left for Brussels on business for the month of January. A month is a really long time for my husband to be in another country so of course I decided to go over for a few weeks to photograph. Now I don’t know about you, but I did not know Belgium was such a happening place. It is the headquarters of the European Union and back in the 1600’s it was central for trade in the now european area. There is a lot of history here. The northern part of Belgium is part of Flanders and is Flemish (Dutch) speaking, while Brussels is both French and Dutch speaking. Most things are in both French and Flemish and most people also speak English. With so many people traveling here on business it really is an accommodating place. I’m so glad I could come and enjoy some time with my husband, even though he is working 13-14 hours a day on this case, and wander through the city creating images. 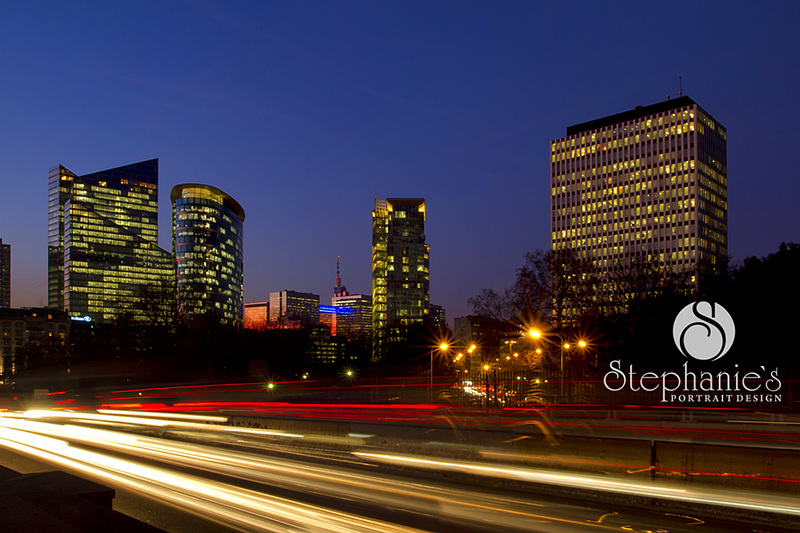 Now when I go to Europe to photograph I tend to walk for hours and hours just wandering about the city. At the end of the day, well in the middle of the day, I am exhausted. But I just cannot help but take it all in and want to spend every moment creating images and experiencing everything. And then I have days like today when I am just ready to not walk all day and sift through the images. After recovering from flying all night, I spent the day after my arrival walking around Brussels to see what there was to see. This is a very large city with lots of little book shops, chocolatiers, cafes and waffle trucks. Can I tell you about the waffles? Oh, so delicious! Now I have never been a big fan of Belgian Waffles in the United States. I know, gasp. They are just too much, I do not need so much. But I guess that is the American way, make everything way bigger. Anyway. I had been wandering for a few hours when I thought, hmm it is probably about time for lunch. Belgian waffles are not really a breakfast item here, they are a snack. So I needed a snack as I was considering what to eat for lunch, so I stopped at a gaufre (waffle) truck and asked for a waffle. You always know when you are near the waffles because you can smell a delicious vanilla aroma in the air. This waffle was delicious. 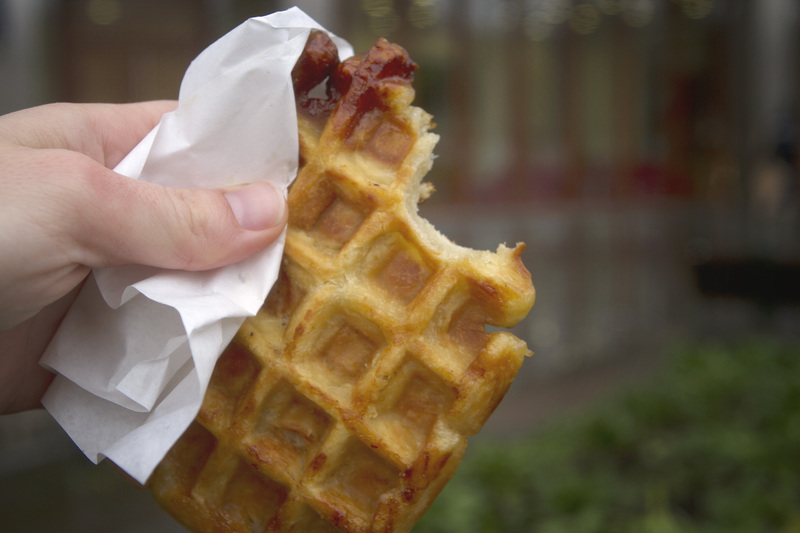 He just hands you a waffle in a piece of parchment paper and you walk on your way. It was warm and sweet and just the right little snack. The waffle appears almost to be glazed in honey or something, but it is the melted sugar from the batter. I think that is what makes it so yummy. 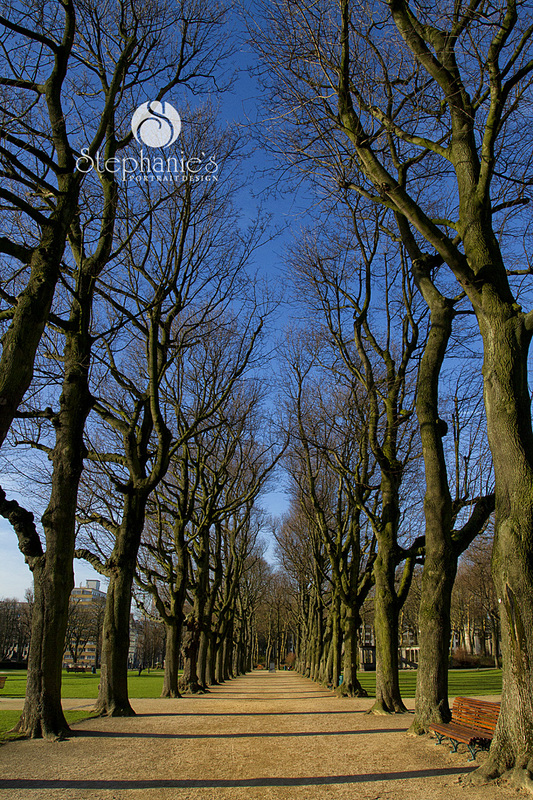 There was a beautiful park on the east side of the upper city, Parc du Cinquantenaire, with beautiful trees and paths for walking. It was a beautiful day so many people were out running and walking through the park. And it was a beautiful evening. There is so much more, so stay tuned.